Threaded bossed flanges are widely demanded as pipe flanges i.e called as threaded pipe flanges used in different industrial applications. Threaded bossed flanges are also known as screwed bossed flange, and it is having a thread inside the flange bore which fits on the pipe with matching male thread on the pipe. AS2129 originates from BS10 and has been metricated. In some cases slightly larger bolt holes provide better clearance as metric bolts are specified in lieu of UNC bolts used by BS10. 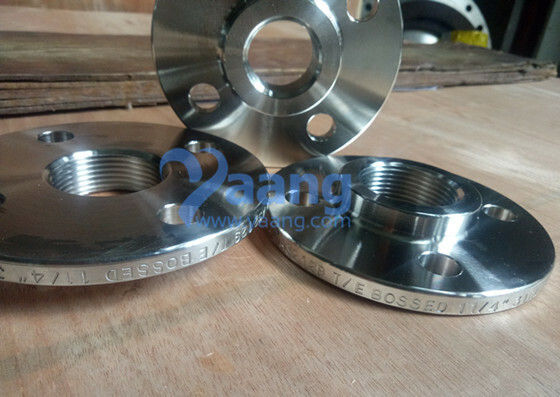 AS4087 is an update of AS2129, however AS2129 is still widely used so it has not been deleted as a standard, however, it now only covers AS table D, E to H.
China Bossed Flange Manufacturer Yaang supplies AS 2129 T/E 316L Threaded Bossed Flange FF, 1-1/4 Inch. 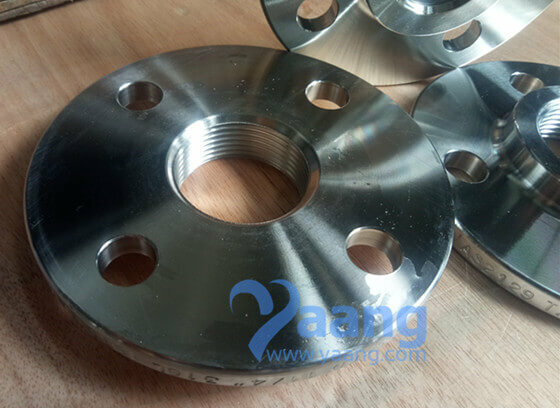 (1) The minimum flange thickness in carbon steel flanges will be 12mm. Threaded bossed flanges are threaded in the bore which match an external thread on the pipe. Threaded bossed flanges are used with pipes that have external threads. The benefit of these flanges is that it can be attached without welding. Threaded bossed flanges can be fitted to pipes of various sizes without welding and this is one chief benefit for which these flanges are highly demanded. These threaded bossed flanges are normally designed for non-cyclic applications. 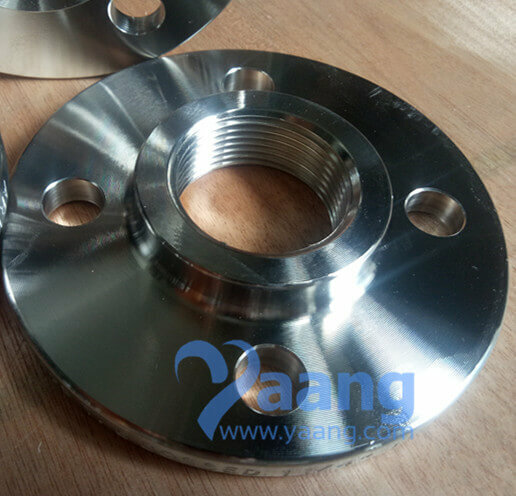 Where can we find the high quality AS 2129 T/E 316L Threaded Bossed Flange FF 1-1/4 Inch.